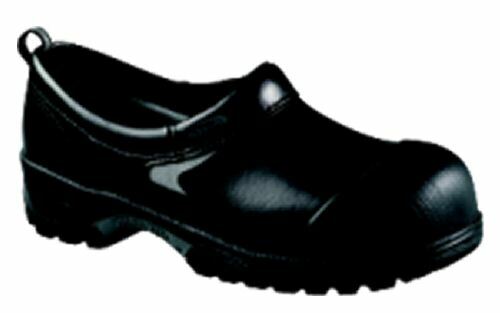 The Sika super clog safety shoes are one of a kind preferred by chefs worldwide! This stylish clog has an extremely good grip and wide fit. At the same time the steel toe clog is very light and durable. The Control Point located in the outsole will minimize the risk for twisting injuries and it assures that you have optimal support of your foot. Instead of a steel midsole, the super clog has been provided with a Kevlar midsole, which is an exceptionally strong, flexible fibre material that offers resistance to sharp objects like penetrating nails. The Sika super clog safety shoes also feature a sweat absorbing insole with an extra 4mm thick shock absorption heel. It is the best safety clog available and an obvious choice for people who will not compromise on comfort, safety and quality.